The Brazil men national team faced Bolivia at La Paz in a bid to qualify for the upcoming FIFA World Cup 2018 finals in Russia - which of-course could easily had been a walk in the park for the Brazilians judging from the quality of the team but had to face a much more harder challenge in Bolivia, their altitude. La Paz is the highest capital city in the world at over 3600 metres - hence insufficient oxygen for the away team and a safe haven for Bolivia sport-wise. Although Brazil are already qualified for the 2018 FIFA World Cup, PSG mega-money man Neymar Jnr wasn't pleased with the condition calling it "...inhumane..." but expressed his delight at the performance of the team. "At one point, I was fouled and when I got up I was seeing stars," he said. "I had to wait a bit for everything to go back to normal." Desumano jogar nessas condições, campo, altitude, bola .. tudo ruim 😂🤣😂🤣 Mas saímos felizes pelo desempenho da equipe mesmo com essas condições! 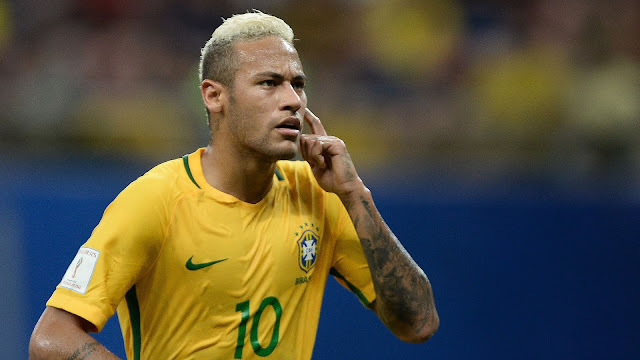 Brazil will complete their qualifying fixtures with a home game against Chile next Tuesday, although it looks doubtful that Neymar’s PSG colleague Thiago Silva will be available after he was substituted due to injury on Thursday. And possible update about Thiago Silva's injury will be published here as soon as possible.